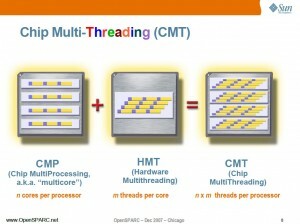 The techniques being embraced across the microprocessor industry are chip multiprocessors (CMPs) and chip multithreaded (CMT) processors. 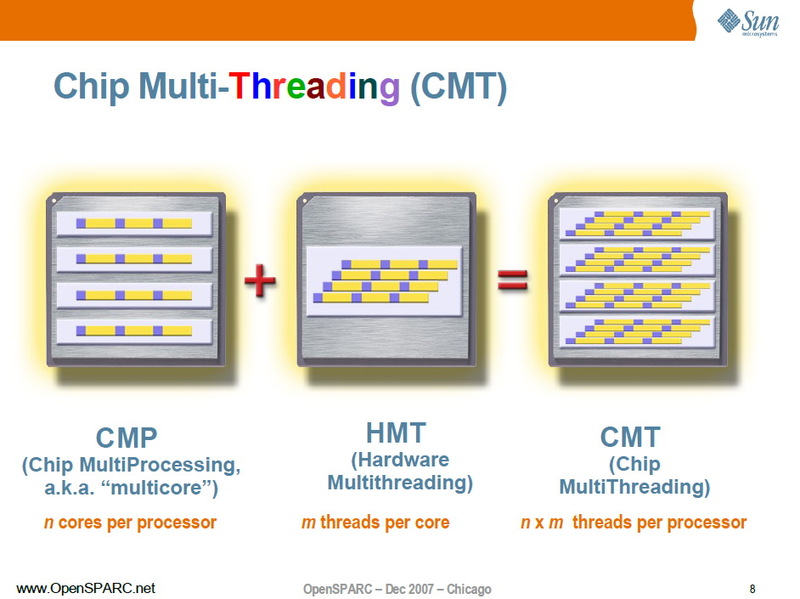 CMP, as the name implies, is simply a group of processors integrated onto the same chip. 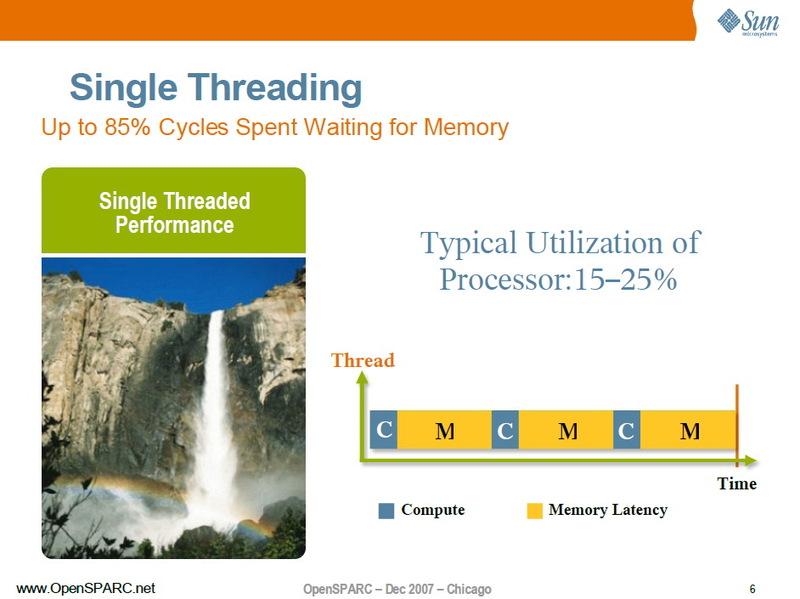 The individual processors typically have comparable performance to their single-core brethren, but for workloads with sufficient thread-level parallelism (TLP), the aggregate performance delivered by the processor can be many times that delivered by a single-core processor. 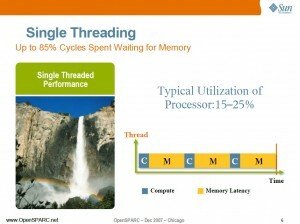 Most current processors adopt this approach and simply involve the replication of existing single-processor processor cores on a single die. 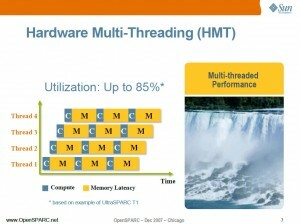 Moving beyond these simple CMP processors, chip multithreaded (CMT) processors go one step further and support many simultaneous hardware strands (or threads) of execution per core by simultaneous multithreading (SMT) techniques. SMT effectively combats increasing latencies by enabling multiple strands to share many of the resources within the core, including the execution resources. 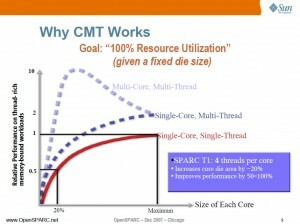 With each strand spending a significant portion of time stalled waiting for off-chip misses to complete, each strand’s utilization of the core’s execution resources is extremely low. SMT improves the utilization of key resources and reduces the sensitivity of an application to off-chip misses. 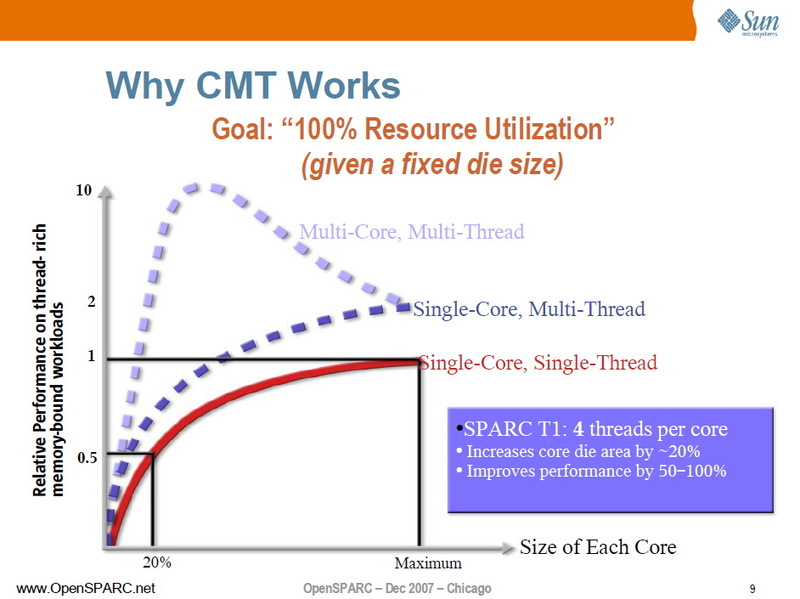 Similarly, as with CMP, multiple cores can share chip resources such as the memory controller, off-chip bandwidth, and the level-2/level-3 cache, improving the utilization of these resources. 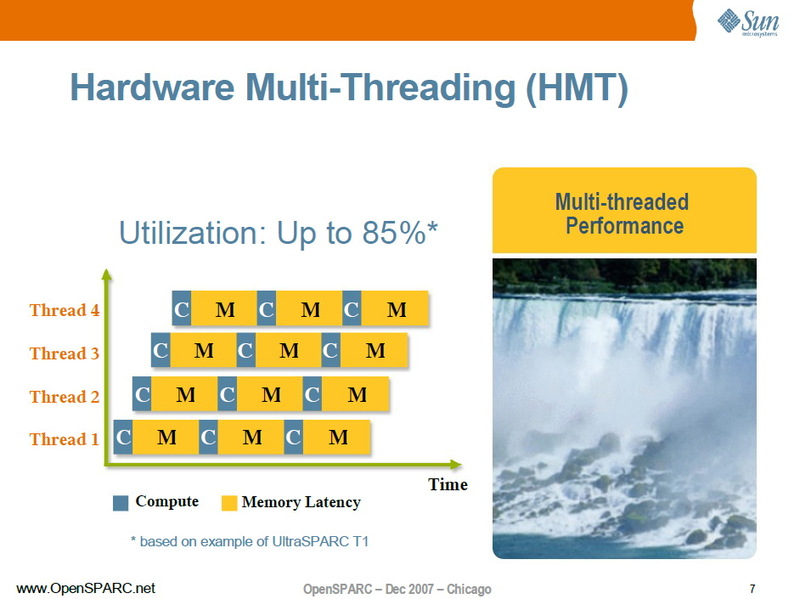 Weaver, D.L., 2008, OpenSPARC Internals, Sun Microsystem Inc.